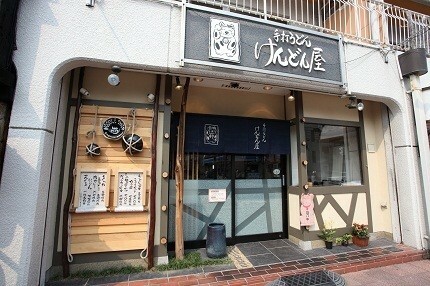 Our restaurant, Kendonya, close to Fushimi Inari Shrine, sells handmade udon noodles. We have always felt strongly about the importance of udon noodles and soup. 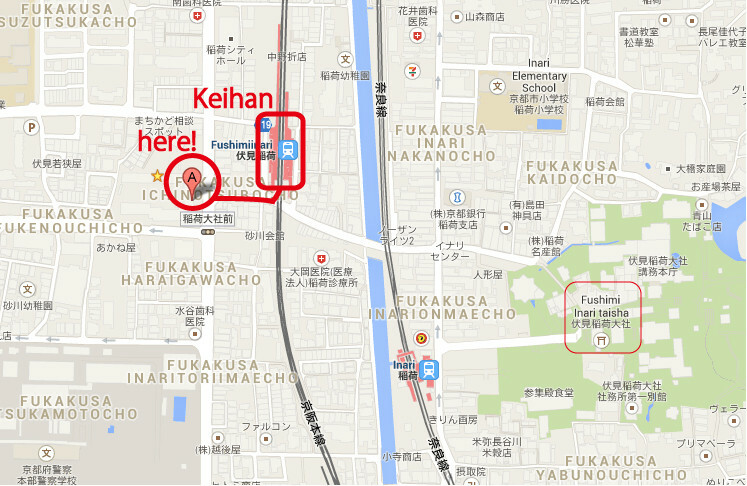 Keihan Fushimiinari Sta. / JR Nara line Inari Sta. We have an irregular holiday a month. 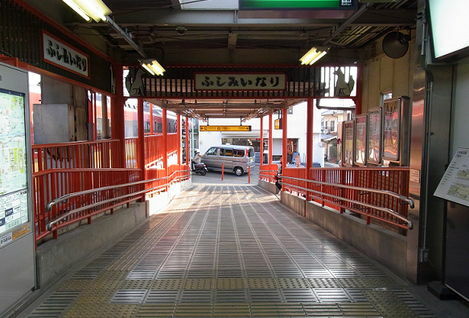 Get off the train and pass the ticket gate. 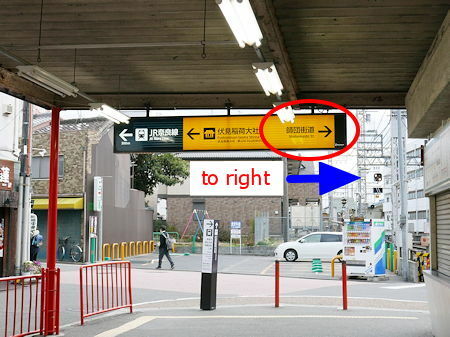 Go straight and there will be a yellow sign overhead that points left and right; you should go right. 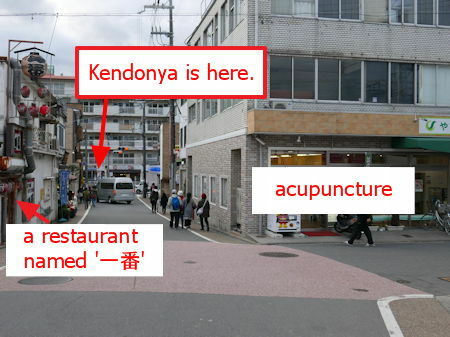 After turning right, there is a acupuncture on the right and a restaurant named “一番” is on the left. 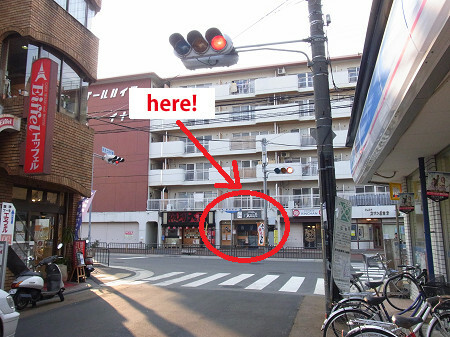 Go straight on the road and our restaurant is on the first floor of the apartment building straight ahead. 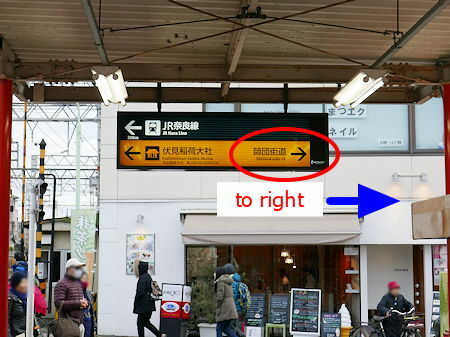 If you turn to the right, there is a railroad crossing. 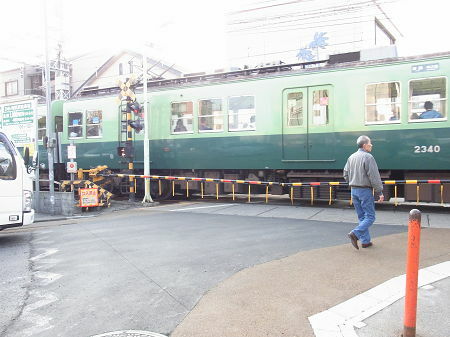 Please cross the railroad crossing. Wed. and ‘once of month’ are closed. Copyright © Kendonya All Rights Reserved.